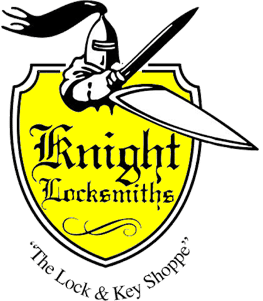 Knight Locksmiths offer electronic security to suit all needs. Whether you are looking for a camera to protect your home or an access control system for your business, we can tailor a package to suit. Call us for more information on 08 8231 5534. Whether you manage a hotel, university, airport, hospital, a corporate building or a government institution, and whether you need to control 6 doors or 64,000 doors, you need an access control partner you can rely on. This is the reason why over 4,000 customers including some of the world’s top universities, corporate buildings, hotels, and healthcare providers have selected SALTO to deliver their access control requirements. Universities such as Oxford and Cambridge in the United Kingdom, corporate buildings like T-mobile HQ in Austria and RTL Television in the Netherlands and the French Parliament in Paris have all chosen SALTO. Clay by Salto is the easy, wireless door locking product for your home & business. Revolutionary in simplicity & feature packed, its the perfect system for any security professional. The whole idea of Clay is a very simple wireless plug & play online access control system. Manage everything remotely from your mobile phone – Available for IOS, Android & Windows phones, the Clay app enables you to manage your Clay system while on the go. Remote opening & locking of doors with secure one-time password technology. The product range we carry includes surveillance cameras and recording devices for virtually all fields of application. We provide a unique and extensive product portfolio, which includes both analogue video technology (CCTV) and IP-based video surveillance as well as innovative hybrid solutions. You will find that we have everything you need for a high-performance video surveillance solution. Consistent and ongoing development, premium quality craftsmanship and, last but not least, the harmonious interplay of components in video surveillance systems will keep you safe. There are a variety of products available for every usage and every budget. This type of system gives you unprecedented control of your premises by determining exactly who goes where. The benefits provided by an access control system make it a wise investment for growing businesses and established corporations alike.